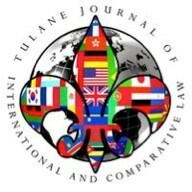 "Standing of Locally Incorporated Entities in International Investment Law and the Notion of 'Foreign Control'"
Abstract: Under customary international law, a state's ability to espouse the claims of its nationals and subsequently file a suit against another state is limited by the rule of incorporation. This has been clear at least since the seminal decision of the International Court of Justice in Barcelona Traction, where it was decided that Belgium could not seek recourse against Spain by espousing the claims of Belgian stockholders in Barcelona Traction, a Canadian company. Equally, claims by locally incorporated entities against the host state are not possible under customary international law. The strict incorporation test has nevertheless become obsolete, if not thrust aside, by the emergence of investment treaties. In fact, the unprecedented and drastic change brought about by investment treaties is all the more evident when considering the whole new array of nationality rules they have solidified. Investment treaties allow for shareholder claims explicitly or by reference to shareholding as one of the covered forms of investment. Some investment treaties go a step further by allowing locally incorporated entities to directly File a claim against the host state, provided that such entities are controlled by nationals or legal entities of the other Contracting Party. Claims by locally incorporated entities are also provided for under the International Centre for Settlement of Investment Disputes Convention ("ICSID Convention"). However, the ICSID Convention, unlike investment treaties, allows for such claims by reference to a "foreign control" test. Setting out from this premise, this Article does not intend to touch upon all of the nationality rules encountered in modem international investment law. Rather, it focuses on the standing of locally incorporated entities. In particular, it asks whether locally incorporated entities controlled by nationals of the host state qualify as covered investors, and if so, whether there is a difference between ICSID and non-ICSID claims. In a nutshell, this Article establishes that when a locally incorporated entity files a claim against the host state (the state of its incorporation), the operation of the foreign control test under the ICSID Convention enables an investment tribunal to unlimitedly pierce the corporate veil and assess whether the locally incorporated entity is ultimately controlled by nationals of the host state. In this case, an ICSID tribunal will have to deny the vesting of its jurisdiction because the locally incorporated entity cannot satisfy the foreign control test. This principle was first introduced in 2008 by the tribunal in TSA Spectrum v. Argentina and has recently solidified in the rulings of Burimi v. Albania and National Gas v. Egypt. On the contrary, when nationals of the host state ultimately control a locally incorporated entity but decide to file a claim against the host state through an intermediate company, incorporated in the other Contracting State, the locally incorporated entity is treated as an investment of the intermediate entity. In this case, an ICSID tribunal cannot pierce the corporate veil and assess whether the intermediate company is ultimately controlled by nationals of the host state. love to research a lot and hope to have more data pertaining to international claims and disputes. Thank you for your post and allowing to me comment.